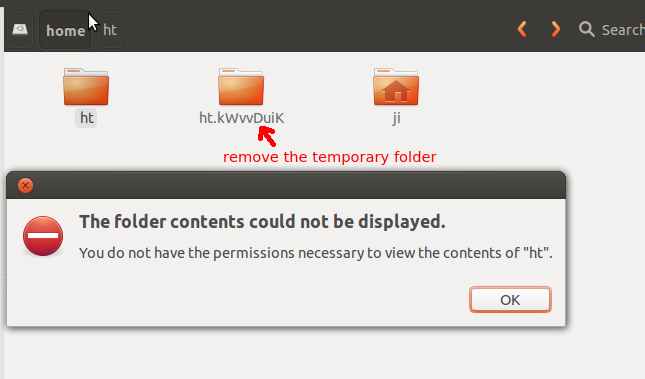 While installing Ubuntu system, the wizard gives an option to encrypt the home folder. 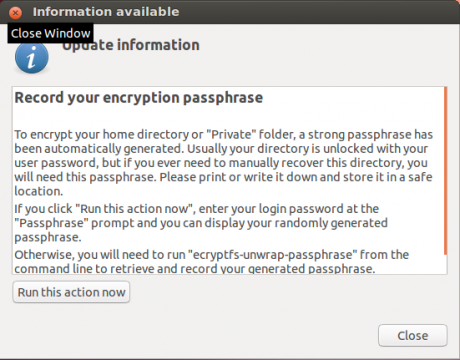 This simple tutorial is going to show you how to encrypt your Home Folder after installed Ubuntu. 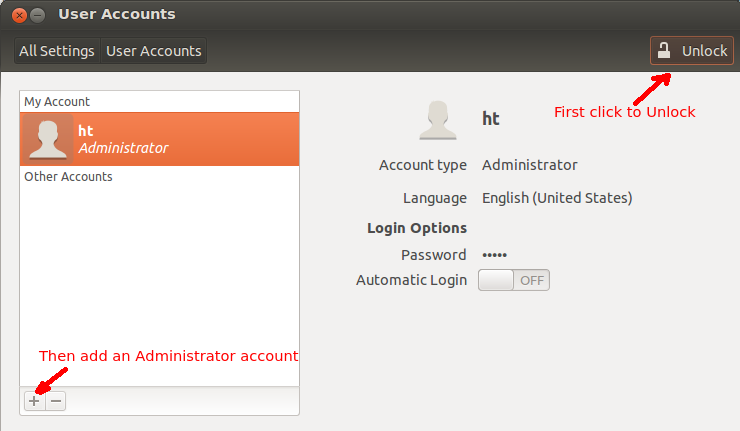 This is for Ubuntu 12.04, but also works on other Ubuntu releases, include Ubuntu 12.10. 1. Install ecryptfs utils, it is available in Ubuntu Software Center. Change ht to your user-name. This command will encrypt the home folder of user ht. 3. If everything’s ok, go to File system -> /home directoy and remove the temporary folder created for ht. Also remove the temporary account you created. 1 user responded in " How to Encrypt Home Folder in Ubuntu 12.04 "
Useful article. I followed it today to encrypt my home folder on Ubuntu 12.04. Under “Encrypt the Home Folder” #1 the command ecryptf-migrate-home failed for me at first due to processes running belonging to the user who’s home I wished to encrypt. To solve this did a restart rather than simply logging out as that user so as to ensure all such processes were gracefully grounded. Also under #1: the process can take quite awhile as it processes all the files. Some large files I had took particularly long to process, as did folders with many small files such as cache files & dev plugins. Best to clean out any unnecessary clutter first, and know ahead that it may take a long time. In my case after 50 minutes it ended with “rsync error: some files/attrs were not transferred (see previous errors) (code 23)…”. I don’t know what files were not transferred, but I’ve got a backup so putting off investingating that for the moment. After step #2 ran the “Record passphrase” (it took a few seconds for the popup to appear) and recorded the resultant passphrase to a safe place. BTW when prompted for passphrase entered my normal login as instructed in the popup and it then showed a string of hexadecimal numbers. I state this only because passphrase is used in several places here, meaning either the login passphrase you enter or the generated one it produces. Also after step #2 as I was waiting for the “Update Information” popup to appear another popup appeared informing me that Dropbox was not working. Apparently it had been broken somehow by the process. However, reinstalled it using same location/identity etc and it was once again working automatically at start up. I subsequently verified that I could still modify and read files in Dropbox (both in my home folder on Ubuntu and on a Windows system). Now looking to find out which files had errors….